Some things are just an acquired taste — often due to nostalgia or developed via repeated exposure. Beans and cornbread. Dark chocolate. Beer. That can probably be applied to many Appalachian foods. But, because I grew up eating them, I knew no different. Especially in sixth grade. For a class project, I had been working on a genealogy report, where I traced my family back 13 generations until I ran out of documents in 1863 — when West Virginia wasn’t yet a state. After months of poring over census records, birth records, death records and marriage licenses at the local courthouse, the day finally came to celebrate the diversity of the class, and everyone brought a traditional dish from his or her culture. I was tickled to bring the Nelson family’s famous bread pudding. Bread pudding was a treat for my family. We baked a batch for special occasions, and every Nelson woman competed each year at my family reunion to see who could win the coveted title of best bread pudding. It was never a contest, though, because Aunt Pat always took home top honors with her family recipe that likely dated back to when our ancestors emigrated from England. But you know who wasn’t tickled? A bunch of picky 12-year-olds who turn their noses up at raisins and a congealed mass of stale bread. Among a buffet of pizzas, pastas and mini-calzones from the kids with Italian heritage, my boring bread pudding remained untouched. Not. One. Bite. It was a tragic moment for me — a young girl excited to share a piece of her culture through food. It wasn’t just any dessert. It was one that had been lovingly perfected over generations, integrated into important family events and adapted to fit ingredients we had readily available. Appalachian cuisine is special in that the dishes are rooted in place and draw on our heritage. Bread pudding exists in many different forms and cultures around the world. In the Philippines, they add bananas. In Canada, maple syrup. 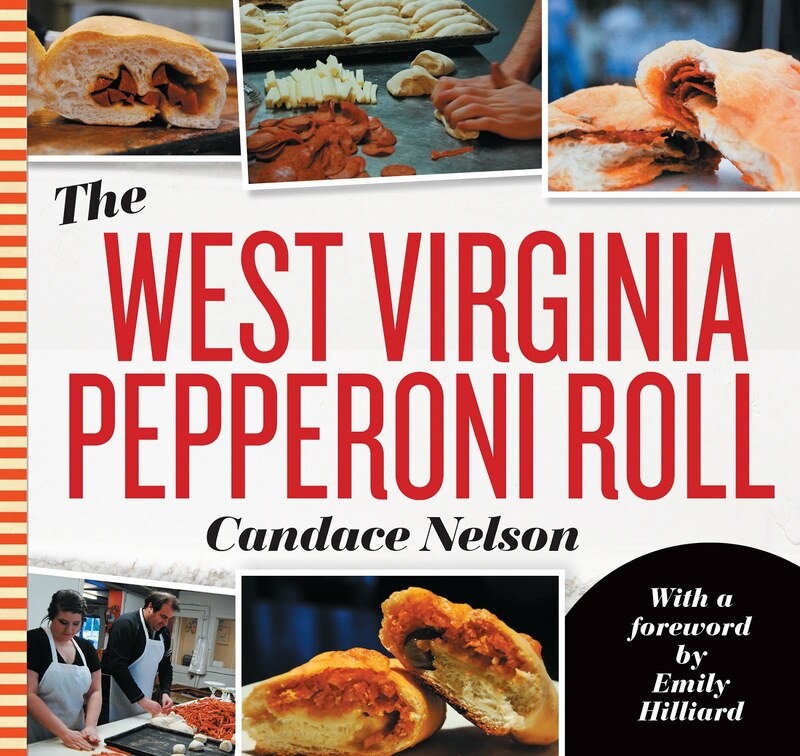 In West Virginia, it’s often made with dried apples from a summer harvest or hearty raisins. And memories. That experience helped plant the seed for learning how food plays an important role in our culture. Appalachian cuisine may be difficult to define, but for me, it’s those meals that have stories associated with them and draw on the place we’re from. For me, there’s nothing more Appalachian than bread pudding that has incorporated local ingredients that were available and developed by Nelson hands over many generations. These experiences, memories, cultures — and food — are like blood running through my veins. They make up who I am. And part of who I am? Bread pudding connoisseur. What is your Appalachian blood type? 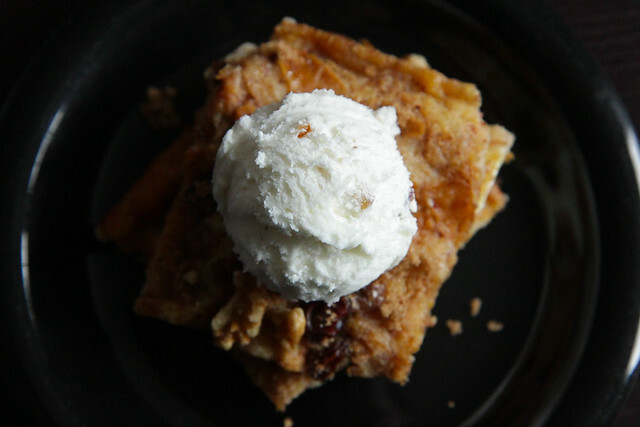 This recipe for bread pudding was the award-winning dessert found at every Nelson family reunion. My Great Aunt Pat, the family matriarch, crafted this dish with love and perfected the recipe over many years. Her special touch included topping the bread pudding with brown sugar and raisins and using sweetened condensed milk. Here’s to you, Aunt Pat! Butter a 1 ½-quart casserole dish and set aside. Heat milk to scalding and pour over bread. Lightly mix, then allow to cool. Add remaining ingredients, stir well and pour into casserole dish. Bake at 350 degrees for 40 to 50 minutes or until knife inserted in center comes out clean. Serve warm, topped with a scoop of vanilla ice cream or drizzle of caramel.